Philips Respironics CPAP litium ion battery kit. 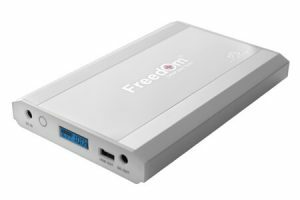 It’s designed to provide an uninterruptible power supply (UPS) to DreamStation and System One sleep therapy devices. 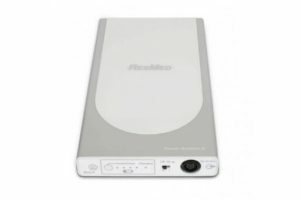 Philips Respironics CPAP battery pack was created to let you travel anywhere with your home CPAP unit! This battery features two operational modes that may may save your life! UPS mode (Uninterruptible Power Supply) is perfect for users who are in areas that experience frequent power outages, it allows you to use your battery as a back up in case of a power shortage. The Stand Alone mode means a direct connection from PAP machine to battery without the use of AC power. Charge the battery for 3-4 hours before the first use. Contents Rechargeable lithium ion battery, PAP device cable, 2 System One 50 series adaptors, battery case. Compatibility Supports DreamStation, System One 50 and 60 series CPAPs and BiPAPs. Power supply Utilizes DreamStation or System One power supply. Additional power supply not included. ¹Run time test conditions: CPAP mode, pressure 10cm H2O, no heated humidification, or heated tubing.